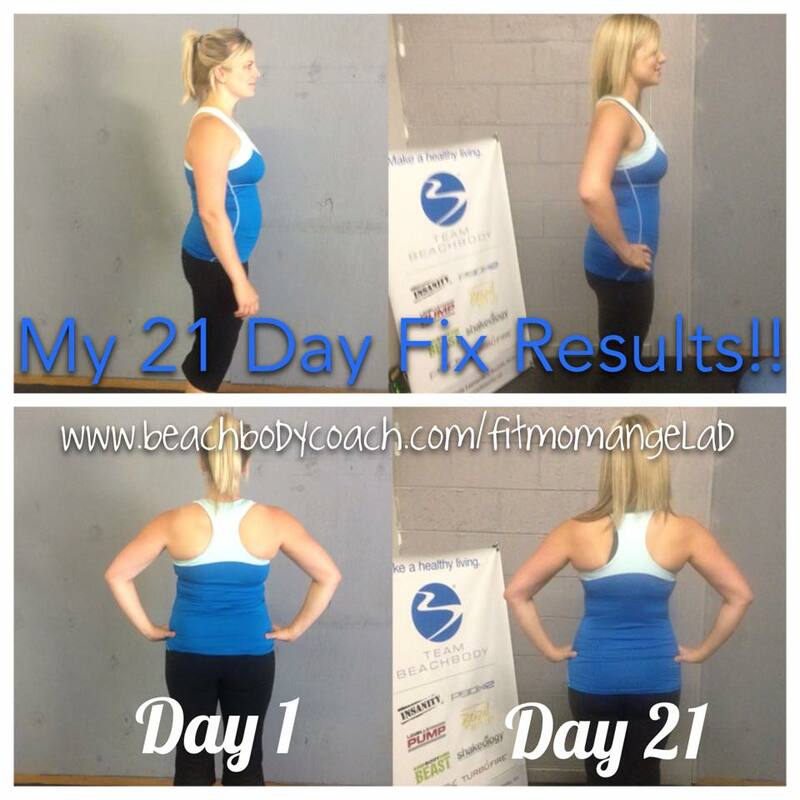 The 21 Day Fix has been a total game changer for ME personally. Before starting the 21 Day Fix program, I worked out every day. I used working out (and nursing an infant) as my excuse to eat whatever I felt like. I was still eat healthy(ish), but my portion sizes were much larger than they should have been. I was having dessert, drinking a glass of wine in the evenings and snacking after we put the kids in bed. I was going to bed feeling overstuffed with a belly ache. Go figure, I was not seeing the results I was expecting from working out every day and that was frustrating. I decided it was time for me to make a serious change if I was ever going to get to my goal. I ordered the 21 Day Fix and I haven’t looked back since. This program is all about nutrition, portion sizes, Shakeology and fitness. It has taught me the RIGHT way to eat for ME — what and how much to eat for my body type. Here are my Tips for the 21 Day Fix! 80% of your results come from your nutrition. YES. Nutrition is the key to seeing results in any fitness program. I learned this the hard way, but I am so happy I know NOW and I want YOU to learn from my mistakes. 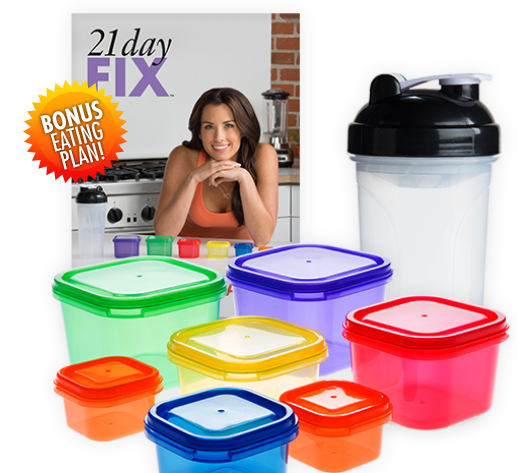 The nutrition plan for the 21 Day Fix is SIMPLE. It is a little overwhelming, in the beginning, but so is any big change in your daily routine! Choose to just dive in, embrace it and have fun! You are on a journey to a healthier you – make it an exciting journey! When your program arrives, your first step will be to calculate which calorie bracket you fall into based on your current weight. Your calorie bracket determines how many containers you get each day. You are counting containers, not calories. Simple, right? YES. Each container is a different size and color based on the food group to make it simple for you. For example, your purple container is what you measure your fruits in, red container is for protein, etc. It is eye-opening to see what a serving size really looks like and the containers make it simple to determine how much food you should be adding to your plate. The nutrition guide lists many foods select from for each container, satisfying even the pickiest eaters. The 21 Day Fix also has ‘treats’ you can sub in. This includes WINE and chocolate a few times a week. (mmmm wine) This is NOT a starvation plan. This is a lifestyle change – a HEALTHY way of eating. 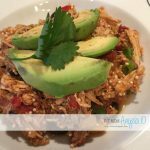 You will find you are eating all day, maybe more than you are used to eating, but you are eating healthy, whole foods that fuel your body for optimum performance. I have changed the way I cook for my family and what I buy at the grocery based on this plan and the rules of clean eating. I feel better physically and mentally and I am happy to know I am feeding my family healthy foods. 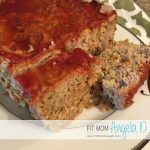 My blog houses over 100 21 Day Fix approved recipeswhich are also FAMILY approved – if my family likes the recipe, it goes on the blog for you to enjoy too! No need to share recipes that aren’t delicious, right? If you choose me to be your coach, you will have access to the tools and success tips I have used and discovered along the way so YOU can reach your goals with this program – I am here to help you SUCCEED. The DVD workouts with this program are mainly strength based so you will be using hand weights or a 15 lb resistance band. The 21 Day Fix fitness is for ALL levels of fitness. For every move, there is a modifier you can follow as you build your strength and endurance. For those who are more advanced, up your weights and push yourself during the workouts. If you need to press the pause button, THAT’S OK! Grab some water and get back to it. It’s all about YOU getting fit and healthy. The 21 Day Fix includes 7 30 minute workouts, the 10 minute Ab Fix and Bonus DVD, Plyo Fix, just for purchasing through me. The best part? It is a DVD — no need to drive to the gym every day. Walk into your living room and PUSH PLAY. Shakeology is the most nutrient dense, complete nutrition shake on the market. Calling it a ‘protein shake’ or a ‘weightloss shake’ does not do this product the justice it deserves. Shakeology is made up of over 70 super foods ground down from their original form and sent directly to you to enjoy each day. There are no added sugars, artificial sweeteners, dyes, heavy metals or preservatives. All of the ingredients used are directly from mother nature. Nothing fake is acceptable. The creator of Shakeology, Darin Olien, and Beachbody take a lot of pride in this product they have created and they do not want to detriment the integrity of Shakeology (or the company) by sweetening the shakes with artificial sweeteners,accepting genetically modified ingredients or adding in those dyes or preservatives. It’s truly, all about being healthy. This shake I drink daily is not just about weight loss, its about nutrition. You need to fuel your body with the right foods and vitamins to keep you performing at your peak each day. I FEEL better when I have my Shakeology each day. Sounds silly right? I know. But it is true. It is full of vitamins and minerals. Helps with digestion, junk food cravings and even my energy level. As a mommy of young boys, I am on the go ALL day chasing them around and sometimes, up several times in the middle of the night. Having more energy has been a lifesaver for me. My dad drinks Shakeology. His cholesterol numbers have decreased significantly. One of my customers has Type 1 diabetes and her doctor lowered her insulin dosage after just one week of drinking Shakeology. It is remarkable, the things I have seen this product do – getting you healthy from the inside out! 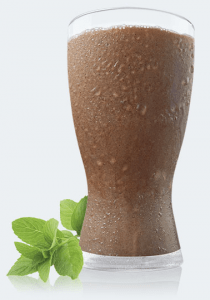 Learn more about Shakeology, it’s benefits and ingredients. Ready to jump in and crush your goals? Purchase your 21 Day Fix Challenge pack by clicking the link below and email me to join our next accountability group NOW! After you place your order, I will message you with some tips and success tools to get you started. You will also be able to start working out right away with your FREE 30 Day access to Beachbody On-Demand. While you wait for your pack to arrive, you can check out your work outs or browse the catalog of Beachbody workouts available on On-Demand including Insanity, P90X and Chalene Extreme. Lots of fantastic options there!